You are here \ South Africa Weddings \ Tie The Knot \ Wedding Expos \ Will You Be at the South Coast Bridal Fair at Izotsha Creek Estate? 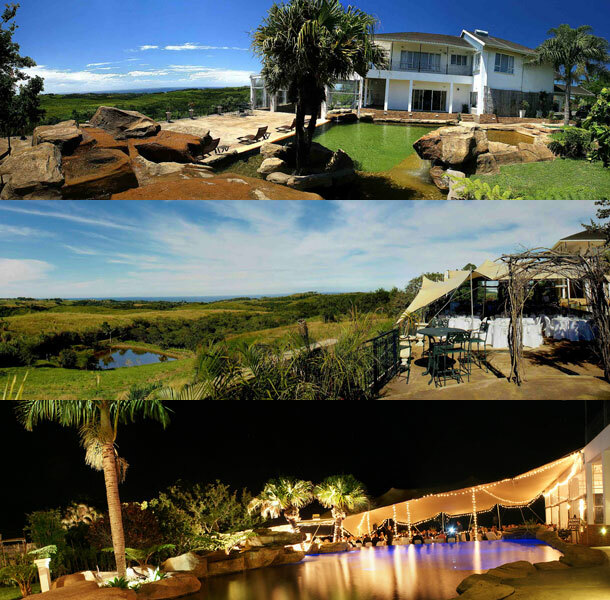 If you’re a bride to be and need a bit of help planning or getting some useful tips and advice make sure you get to Izotsha Creek Estate in Shelly Beach, KwaZulu Natal, for the South Coast Bridal Fair this Sunday 8 September 2013. This fair gives you the perfect opportunity to be inspired and build relationships with suppliers who could be making your dream day a reality. Enjoy musical entertainment and light snacks on the day while browsing through the stalls and meeting both new and established suppliers. This is the best the industry has to offer so be sure not to miss out. Save yourself the time and money of having to meet with different people at different places, the bridal fair has everything you’re looking for, under one roof! Izotsha Creek Estate is a wedding venue and can seat up to 180 guests as well as a spacious dance floor to dance the night away. The seating depends on your requirements and the venue makes use of both a permanent deck structure as well as a ‘stretch tent’. The Panoramic Deck, which has a 180 degree sea view, is an idyllic and romantic setting, yet an adventurous scene for an tremendous wedding reception.